Interested in exploring Yorkshire, but trying to save money on sightseeing? With the current exchange rate at an all time high, visitors to England from America may be worried that they won’t be able to afford to see much once they arrive. Thankfully, there are free castles, abbeys, and historic homes, gardens, and sites throughout England that can help travelers keep within their sightseeing budget. Spofforth Castle is a beautiful castle ruin that travelers can explore in North Yorkshire, England without spending a penny. Spofforth Castle is located in the small village of Spofforth, less than 10 miles outside of Harrogate, England, a bustling tourist city known for their tea rooms, sulfur springs and upscale shopping. Also nearby are the major cities of Leeds and York. Travelers headed to Spofforth Castle will need their own transportation. There is street parking in the village surrounding the castle. Spofforth Castle was the home of the Percy family before they built Alnwick Castle (known today by many visitors as the “Harry Potter Castle”) in Northumberland. Residents since Norman Times, the Percy family carried out various renovations and additions to the castle before deciding to move to the more battle-ready Alnwick after its completion. The castle fell into disrepair upon their departure. The only remaining piece of the castle is the great hall and its undercroft. Travelers approaching the castle from town might assume that the castle remains are smaller than they actually are. However, they are approaching from the bottom of a hill, and are viewing the castle from the first floor instead of the ground floor. Standing outside the windows on the first floor allows visitors to see the entire remaining hall before climbing the original stairs down to the undercroft. Inside the castle, you are able to see windows and doors up close, which provide wonderful opportunities for the photographer. 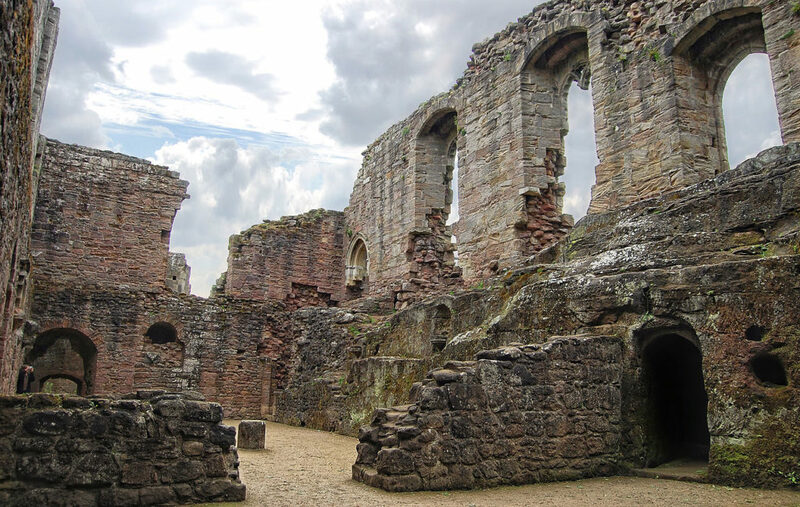 Though Spofforth Castle is an exciting piece of history to explore, you’ll likely only spend a hour there unless you choose to pack a lunch or bring along the football. There is a large field within the castle grounds for picnicking. Travelers to North Yorkshire with small children may also want to keep a close eye on their little ones, as the first floor windows are open and could be dangerous. Spofforth Castle is located in North Yorkshire in the small village of Spofforth. This free piece of history can provide entertainment for travelers without breaking the bank.